Do you like Victory Road? Hi Everybody, and How are you today? I know that I am not to much appeared here in Video game department but I really want to do a new version of thread; so I want to write about Victory Road during the seasons with my opnions in these Victory Roads in these seasons. Firstly, In the first season which is Kanto Region's Victory Road, then my opinion is that I am not so fan of this season's victory road specially when I was too young but still until now then I am still not a big fan of it specially that in this season, then there are a lot of stupid trainers that waiting for me with very strong pokemons that in high levels of evolution and high lev of Lv. I always need to all pokemons and if some of them been fainted then I should back to start or should a lot of Revive, or Max Revive or Max Potion or Full Restore until reaching the pokemon league building. Second Victory Road in Jhoto Region is the best one because no annoying player inside and not a lot of floors in that victory. Also, this road don't have a lot of pokemons. Don't forget that Earthquake Attack inside. Finally, you can distory the head of your stupid annoying rival. And I can not forget that the soundtrack of this victory road is so good. The most awful, borring annoying and the most one that I hate is the third season of victory road which is the hoenn region because firstly then you have to use flash, rocksmash, strength, watefull and every type of HM attacks and mostly then we don't give flash and rocksmash to strong pokemon then you have to choose two weak pokemons that can do these attack or at least one pokemon that can do every type of HMs or at least maximum of attacks. Secondly, every annoying stupid trainers are there and most of them have a very strong high evolution of pokemons and they mostly are in high Lv and some of them also use max potion of full restore; so I hate this season's victory road; And for that then mostly I need all of my pokemons to figt them and also to fight the wild pokemon that appear in that victory and mostly I lose and back until the beginning of the road because I mostly lose all of my pokemons by these stupid and annoying trainers or at least then I need a lot of max potion, full restore, revive and max revive so I can challenge them until reaching the leauge. The benefit of this victory road is that I can find Psychic Attack and some of my pokemons become more stronger little bit and I love challenging Wally. Now, the time for sinnoh season's victory road which is also nearby to be such as hoenn victory road so I don't like but still it is much easier than hoeen leauge victory road. The fifth season of victory road that inside unova leauge is much easier I mean that it is much nicer than first and fourth one which means that it is much nicer than all of sinnoh's victory road and much nicer than kanto's victory road. It include that most important thing which is there is nurse or doctor. I really love challenging nurses and doctor because they really help me and make me don't back to hospital so I really like challenging them and glad that also in both BW and B2W2, then there is doctor in victory road. The idea of using bicycle to go down of the cliff is really nice and new idea in BW and changing pr rebuilding the victory road in B2W2 is also a good idea. The Kalos Victory Road is nearby to be samiliar to the fifth one and glad that there are a lot of pokemons that you can catch there and I am glad that I can destroy the head of Calem the one of most boring rival but still is much likable than sinnoh victory reod and more likeable than kanto's victory road. I really love Alolan Victory road and it is in number two of the best victory roads becaise ot is much likeable and much nicer than all of 1st one, and much nicer than 3rd, fourth season, much likeable than fifth one and sixth one and I like that they made some of rebuliding in USUM with can catching Necrozma there. So thank you very much everybody for reading closely and hope see your nice posts and sorry for long thread. finally, I want to say that I mostly hate victory roads so much more than everything in pokemon maps and so glad that you cam to read guys and I am waiting for your nice posts. I'm not the biggest fan of Victory Road. I tend to like it more when it's more scenic, but usually (or at least with the games I've played), it's just a big old' boring cave. I want to see a Victory Road that isn't in a big ol' cave. Something different, that feels more like I am leading up to Victory. Have it have more sights to see. Sun and Moon's was cooler cuz it was an ice cave. And X and Y's had a little hidden exit that had an awesome view. So if they changed it up a bit, and I might like it more. But as of now, I'm not the biggest fan. In future games it might be good to perhaps make the trainers' Pokemon, and maybe trainer classes, randomly select from a specific but varied range, so it would be different each new playthrough! Whether Gen 8 or later, it also would be possible for a more open-world Victory Road area to be very impressive. Maybe instead of only trainers present as battle challenges, there could be many optional situations across a large area maybe with many hills and valleys, plentiful unique landforms, to team up with trainers, either one at a time or a few, to overcome both small and large challenges. There could be many special rewards and advice received for helping and interacting! Also it could be most welcome for there to be a Victory Road where non trainers are there intaracting with the environment and in harmony with some the wild Pokemon. I think in earlier games it is meant to be a more intense and JRPG dungeonlike location, but it could become more like a nature preserve; maybe like a Safari Zone but for stronger and stranger Pokemon! Hi my new friend and glad that you are the first one who post here and glad that you also follwed me. Firstly, glad that we are sharing the same opinion of loving Alolan avictory Road with sharing of hate Victory Road. 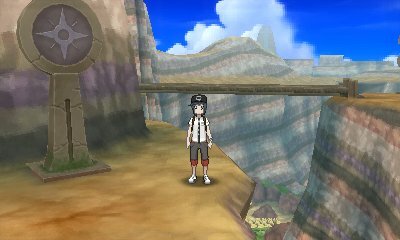 It is really a very boring Moutain with very boring caves that contains multi stupid boring trainers that waiting for us and why only us. If they can not reach the leauge then don't stay in the victory road pkease. i really don't. I thought about being Ice Cave but also the cave that make us challenge Red in SSHG is similar but it is still a nice idea. Can you tell more about the hidden exit in the XY? because I don't know about it any more really. Firstly, let me that you very for posting here and hope see more of your unique posts. and to tell you the truth even if I am not agree with in some poi ts but I feel that you made some good points but still to me then I really hate because I can not accomplish it until being bored from the game. Well, if they will improve it to more likeable ways thrn that's fine with me. I mostly hate it because as I said, then it is so difficult and so boring thing that contains trainers that really boring trainers. I don't want to waste my energy and time with them really. they are really bery stupid boring trainers. I can't remember where exactly it is (and I restarted my copy of X recently so I can't go check it out. But if I remember correctly I know on the left side on one of the floors of the cave (I think it was closer to the end of the road), there's a little exit that leads out to a small perch to overlook the mountain, and I think there's a TM there. glad to see you again and really that's fine with me and I got a tm there before two days in Y Vitory Road but do you know what? Victory Road is an excellent concept, a final gauntlet to challenge the player's stamina, endurance, battle ability, and familiarity with the game's puzzle mechanics. In practice, the concept has grown stale, and GameFreak tends to default to "generic cave." It could use some freshening up in terms of aesthetics and theming. I think it would be cool seeing a more urban Victory Road, or one set in some vast rolling hills and grasslands, or in an ancient temple or castle grounds. BW2 is the closest GameFreak's gotten to doing something really unique with Victory Road. I do like the idea of a final gauntlet dungeon before the League, but like many others, I'm sick of the generic cave areas. Lately, they've tried to freshen it up a bit by having it be a combination indoor/outdoor area, but even that's kind of stale. And no, I don't count Mt. Lanakila as a Victory Road, it doesn't share the same name, it doesn't have any trainers, and it's really short, if anything Vast Poni Canyon feels more like Victory Road. Anyway, what would really be interesting is if they made Victory Road feel more like, you know, a road. Maybe they could have a winding mountain trail that's completely outdoors, or a path that proceeds through a variety of environments more like BW2's. Whatever the case, they should steer away from caves for a while, they've been done to death. Erm, Lanakila means "victory" in Hawaiian, also, the shortness and lack of trainers was fixed in USUM. Oh wow, they added a handful of rooms and some trainers. Yeah, still doesn't feel much like a Victory Road. The other Victory Roads are still more like Vast Poni Canyon than Mt. Lanakila. Victory Road should feel twice as big as Mt. Lanakila even is in USUM. I like the Hoenn Victory Road mostly because it has that beautiful battle area where Wally challenges you to show his growth. I've always liked the concept, it is a perfect example of the final dungeon that tests your abilities as a Trainer. The Generation I one was pretty boring and bland, and in Generation II, it is even worse, since there are no trainers inside (barring your rival) and it only makes level grinding even more tedious. Fortunately, the Hoenn and Sinnoh ones are pretty enjoyable to explore, although the latter's music theme is rather grating. B/W one was a disappointment, but B2/W2 version was really amazing, thanks to its diverse environments and large Pokemon selection. X/Y one is pretty great, too, and its music theme is epic. I'dlike the Victory Roads to keep having lots of various environments, natural obstacles like bodies of water, waterfalls, large bouldres and cracked rocks, and the Trainers to have larger teams with balanced movesets. Um, what? The final dungeon is meant to be challenging. What's wrong with having dozens of Trainers with powerful teams again? I hate them all since I hate caves/dungeons in general, especially ones that involve using multiple HMs and have tedious layouts. Johto's VR was awful in terms of having no trainers to fight minus the rival though, which makes leveling up harder. I think the basic idea of a Final Dungeon before the League is good, but they do somewhat over-rely on caves to help fulfill this purpose. In Sinnoh, I find this particularly bothersome, given how much of the rest of the region was already mountainous or cavernous, and looked the exact same (plus I hate the music for Sinnoh's VR, so that doesn't help). I can't really hold Kanto's barebones VR against it since it came first, and even then, it had Moltres to spice things up, as well as the Badge checkpoints prior to the cave to build up hype. Teasing you with it at the start of the game by making the League branch off from Viridian was also a brilliant design choice. Johto's VR... well, it's not really the one that matters there, is it? Routes 27 and 26 fulfill the function of a Victory Road in those games. And it's a nice idea, and smart to rely more on GS's beautiful overworld graphics rather than drab cave tiles. The twist reveal that you're in Kanto now craaaaaaaaaanks up the hype. The music is top-notch. All of that's great - so then why did they still bother retaining the legacy element of a completely vacant Kanto Victory Road? Just to make a point about Silver? I'll admit, I also like the Victory Road music, but the fact that it accompanies an otherwise casual lark through a boring, empty cave with boring encounters kind of deflates the excitement that was built up over the previous stretch. Some great ideas, spoiled somewhat by an awkward landing. Hoenn's Victory Road is just straight-up cave with nothing new or innovative about it and a tedious glut of HM requirements, and music that's far better than it deserves. I guess you've got the surprise Wally encounter, but I don't think Wally's storyline was handled well enough in RSE to have that mean much. ORAS are a bit better about this, and also add in a bit of nice visual flair in some rooms, but in general are faithful to a fault. Ever Grande City also fails, in both iterations, to really be as majestic as its name sounds. The giant waterfall is cool, but I don't think it helps that you reach it by way of the same monotonous water routes that have overwhelmed the past few hours of gameplay. I already sort of addressed Sinnoh; it's got the same problems as Hoenn except worse (it even has the dull water route prelude), although I will say that the exterior area, with the solemn piano piece and the cathedral-like League building make Ever Grande's ill-advised minimalism actually work nicely. I'm not sure what to make of the post-game Route 224 offshoot, though. Mostly it just seems like a weird design choice to me. Unova's Victory Roads still fall into the habit of being caves, but they find ways to make it a little more interesting. The music layering in as you pass each Badge checkpoint in BW is absolutely phenomenal, not just serving to build up hype but also paying off all of the musical dynamism that was threaded throughout the game, and it's already coming off of the legendarily good Route 10 music. Speaking of, I like how this Victory Road uses the shaking grass battle music for all wild battles. It's a good, subtle touch to show that you've reached a higher level of challenge. The interior of the cave isn't anything to write home about, but it doesn't feel as worn-out because Unova didn't spam caves at you like Sinnoh did, and even the ones that you were forced to go through tried to use different aesthetics so as to break up the visual monotony. And, much like Moltres in Gen 1, you can also have an encounter with Terrakion here, although I think the execution is somewhat mixed in this case. You have to seek it out willingly by having gone and fought Cobalion earlier in the game (which, if you did, does mean that you had to go through another cave using the same tileset as Victory Road). While that does lend it a sense of feeling like a more deliberate test of your abilities before the League, it is less exciting than simply happening upon a Legendary in the course of your exploration. In any case, the blandness of the cave interior is also mitigated by the fun of the SLIIIIIIIIIIIIIIIIIIIIIIIIDING!!! gimmick on the exterior, which was completely novel for the games at that point. B2W2's version takes a somewhat different approach. I think it looks at what Johto tried to do and attempts to do it better. You have the same kind of long open-air route prior to the actual VR, coupled with stirring music, and this time it is a very complex and intricate route in its own right if you put in the effort to explore it in full. This also adds the the aesthetic range of this Victory Road. On its own, Route 23 already has you walk along a unique cobblestone path sandwiched between sheer cliff and a calm river that flows from a nearby waterfall, while being accentuated by a couple of rustic wooden houses, which is a visual that I don't think the games had ever quite managed with such vivid definition by that point. You can ascend to the heights of those cliffs, while also running through a forest maze next to a small pond to solve what is perhaps the series's most long-winded strength puzzle (YMMV on how fun that is, but personally, I love it). And after all that, we've only just now reached the actual Victory Road, with its cool hi-tech Badge checkpoints (I think it would have been a fool's errand to try to recapture the epic-ness of BW's checkpoints, so a simpler, flashier approach feels like the right call to me if you're not just going to do away with the checkpoints altogether like Johto did). The extreme modernity of the Badge checkpoints is then contrasted with some ancient castle ruins. Contrary to common thought, I don't think these are actually meant to be part of N's Castle - the tileset doesn't match, they look more integrated into the environment, and geographically speaking, N's Castle is depicted as being higher up in Victory Road. To me, it feels like there's something unspoken about these ruins, which I find much more evocative. Unova's Pokémon League looks like a grand temple - is it perhaps what remains standing of the larger castle complex that these ruins once comprised? Anyway, I didn't even notice that secret narrow valley to the right of the Pokémon Center until after several playthroughs. It would be a wonderful place for a Secret Base if those were in these games. The Pokémon Center itself is interesting, having a unique design that looks as if they repurposed one of the remaining castle barbicans, and then you have another small maze, this time being made up of broken walls and columns. Go a bit deeper, down the stairs and into a dark, atmospheric, torch-lit cave ruin, with a tileset that gives this section its own identity in contrast to the later parts that will use the basic cave tileset. Right there, they've already tried to address the problem of Hoenn and Sinnoh's same-y VR aesthetics. Then, depending on which game you're playing(!!! ), you either progress into a bright canyon with a nice waterfall and a rivers coursing below you, or a small, dense forest grove (though these aren't truly exclusive - for the opposite game, they become an additional bit of optional exploration). Sure, this isn't huge, but it's a level of diversity hitherto unseen in Victory Roads. The rest of it may be a basic cave, but I find it hard to complain about it after all that we've been given so far, and I still really like this part, where you have to scale the steep mountainside, and can then choose to either continue on through the main gate or keep on exploring the opposite side. If you push onward to the League, you have to cross through the "legacy" section from the previous game's Victory Road, just like Gen 2, but here it's implemented much more sensibly. Instead of a big empty cave with nothing to see that just acts as padding, we see only the final tunnel and that memorable shot of the peak as a quick, efficient nod to the previous games cap off the gauntlet. It's a concise summary of the relationship between BW and their sequels - even though B2W2 exist in the shadow of the originals, they forge their own identity. They don't need the original Victory Road, and can find their own way. There's no excessive overlap, and no hackneyed attempts to imitate BW's best elements. Third versions only wish they could accomplish this. Kalos's Victory Road hangs together well enough, I think. I don't love it as much as either of Unova's VRs, but it does take clear cues from them (the sleek, hi-tech Badge gateway; the basic cave interior being mitigated by having you traverse the outside of the mountain, which is decorated with castle ruins and waterfalls and some hidden nooks), while also stealing the "early game sneak peak" trick from Kanto. Not really the most original VR, but not the most boring, either, and the music is pretty good. A Hydreigon swooping down and attacking me out of nowhere was a memorable moment. Alola... we're kind of in that Johto situation again, where "Victory Road" isn't the actual Victory Road in terms of function. That honor belongs, at least initially, to Vast Poni Canyon, which is generally quite wonderful. The music is excellent, and the scenery is beautiful (I particularly like the parts where you can see the Altar from afar, and the dead tree at the beginning is an evocative point of interest). Integrating one of the trials into the last section was an... interesting choice, especially since your run through the canyon began with the last Grand Trial. It feels kind of backwards in that regard, but that's one of the things I do like about Alola, which is that the culture seems very flexible and adaptable despite their traditionalism. Overall, I think Vast Poni Canyon is a very effective buildup to the emotional climax of the game, which in turn causes the actual League and Mount Lanakila to feel like a lighter sort of quasi-epilogue. It's still got an intensity to it, but every time I've gone through it, it's felt like a weight was lifted by the resolution of the Ultra Space conflict. Which makes me a little more forgiving of Mount Lanakila's vacancy, even if I don't really like the idea of empty VRs in general (similarly, making Mount Lanakila an icy cave with a snowy exterior does help set it apart visually from the rest of Alola, which I think is kind of clever even though I'd rather they just stop using caves and mountains so much in the first place). I don't feel like it needs that same kind of hype, or sense of challenge, at least not in SM. Which I suppose is one way of addressing the Johto VR "problem," even if it feels so specific to SM's storyline experimentation that I doubt it could work again in the same way. Indeed, when USUM come along, the balance is shifted - there's less emphasis on Lillie's story overall, so the resolution that she and Lusamine come to at the Altar doesn't feel as conclusive, and unlike in SM, you've still got trials to complete before you can even think about taking on the League. Accordingly, USUM's Mount Lanakila is filled up with Trainers in order to retain the feeling that you still have a ways to go. The Necrozma encounter is worth talking about for a bit - as Legendary encounters on Victory Road go, it kind of blends the situations of Moltres and Terrakion. It's structured to take you by surprise, while at the same time being a little more woven into the narrative so that the player has an investment in it. I did like that. But as a downside to USUM's overall enhancement of Mount Lanakila, it does retroactively make the empty version we saw in SM feel less like a deliberately choice and more like a lack of effort or sign of a rushed product. I don't fully buy into that whole line of criticism against SM, but it does have some degree of truth. Spoiler-wrapped my in-depth analysis because it's pretty big and somewhat wanky. TL;DR version is that there was kind of a slump in creativity about Victory Roads especially in Gens 3 and 4, and since then they've been able to find interesting but inconsistently effective solutions to the problem and that it would be cool to see them try an approach that doesn't rely on cave textures at all. I feel like the bashing on 3rd and 4th gen's VRs is a bit unfair. For one, the issues with there being too many HMs is a problem with the HM mechanic, not really the actual design. If you'd have gone through them with Ride abilities/Secret Moves/whatever instead of HMs, it'd be less irritating. Also, saying that they're a "slump in creativity" based on 2nd gen having Rt. 26/27 is also not a really fair comparison because they're not actually Victory Road and there's not really anything special about them. If we can accuse the Victory Roads of being generic caves, we should also accuse Routes 26 and 27 of being generic routes, in terms of environments and aesthetics there's nothing really special about them either and they probably only threw in that "Silver scared all of the trainers out to Rt. 26/27" bit because they probably ran out of time/memory to put actual trainers in there (which does make me wonder why they didn't add other trainers in HGSS when they had the opportunity. And speaking of HGSS, I do like how they spiced things up a bit by making it more of a maze of pitfalls. Still gimped compared to the original, but it is a bit more interesting to navigate). I wouldn't call 3rd or 4th gen's the best by any means, but they're not really the worst either. What they lack in interesting aesthetic they make up for in having mazelike design that incorporates multiple overworld elements and abilities, testing not only your battling ability but your overworld navigation skills. And that's more than I can say for certain other Victory Roads (coughgscmtlanakila). Well being only a cave in the pasts in understandable in my opinion and that because the generation in game boy colour was really past game and it is became more like mountains during years but still I don't think that there are a different between caves and mountains. I want to ask about Mt Silver Also. Could it be a Victory Road 2 Also in SH and SSHG? For one, the issues with there being too many HMs is a problem with the HM mechanic, not really the actual design. If you'd have gone through them with Ride abilities/Secret Moves/whatever instead of HMs, it'd be less irritating. I think it is absolutely an issue of level design. No one forced Game Freak to make parts of Hoenn's Victory Road pitch-black, for instance. Kanto's Victory Road was fine without that, both before and after Ruby & Sapphire. And I don't even think HMs were always bad - they're handled just fine in Gen 5 and XY, because the requirements in those games aren't so oppressive, so to me, the eventual development of alternatives like Poké Ride doesn't really earn the mapmakers any leniency. Yes, those alternatives would make those Victory Roads less tedious, but they never needed to be so tedious in the first place. Routes 26/27 are just generic routes, sure, but by the very nature of what tiles are used for routes, I find that they have a more varied/appealing visual range than caves. I mean, I'm not saying it's some genius-level solution, I'm just saying it's nicer to look at than brown rocks everywhere, and in that regard, I think the Hoenn and Sinnoh VRs didn't really have any good ideas about how to make those VRs look interesting, so they just defaulted to being big caves. Also, that specific line is from the TL;DR part which I must admit I probably put about eight seconds of thought into. (which does make me wonder why they didn't add other trainers in HGSS when they had the opportunity. And speaking of HGSS, I do like how they spiced things up a bit by making it more of a maze of pitfalls. Still gimped compared to the original, but it is a bit more interesting to navigate). I wouldn't call 3rd or 4th gen's the best by any means, but they're not really the worst either. What they lack in interesting aesthetic they make up for in having mazelike design that incorporates multiple overworld elements and abilities, testing not only your battling ability but your overworld navigation skills. And that's more than I can say for certain other Victory Roads (coughgscmtlanakila). I suppose, but for me, I can't say I ever really felt like I was being meaningfully "tested" by those VRs, so it's hard for me to feel that it's "making up" for the general boredom that I feel going through them. I love a good maze or puzzle, and Pokémon has had some good ones before, but I don't think I would consider either of those VRs as examples of such. The problem with BW and XY's solution is that you lose something by removing the field obstacles altogether instead of divorcing them from your Pokemon's battle moves. Field obstacles do add more variety and puzzles to the overworld, Cut and Rock Smash allow you to remove trees and boulders and facilitate more mazelike design with those obstacles. Surf allows you to cross bodies of water. Waterfall and Rock Climb add more verticality to the design. And Strength lets you move boulders to open up new paths and facilitates puzzles where you have to figure out the correct order to push them. And yes, there were some areas of those two VRs where they did meaningfully test your overworld navigation. B1F of Hoenn's had sections where you had Strength boulders and Rock Smash boulders next to each other and you had to figure out the correct order to clear them. Do I push this Strength boulder one way, or destroy this Rock Smash boulder to allow me to push the Strength boulder another way? Sinnoh's B1F had a maze of Waterfalls, and you had to figure out which was the correct one to take to move on. 2F also had some Strength boulders IIRC, and had bike ramps which while not HMs, were also a kind of field ability that facilitated more mazelike design. Do I use the high gear or the low gear on that ramp to move on? Those kinds of things do test your navigation and puzzle solving skills, so I can't fault them for wanting to incorporate them into the map design. I agree that the HM requirements in Victory Road was never a problem with the overall design but specifically with the HM system itself, which had become outdated as early as Gen IV, with Gen III being the point of overbloat. There's nothing intrinsically wrong with testing a player's ability to solve the sorts of puzzles the game has thus far laid out for them, and I actually wish that was a larger part of the Victory Road concept. Hopefully with the introduction of Poke Ride we can start to see a greater emphasis on puzzle solving which is divorced from the HM mechanic (which should never return). I like the BW victory road the best, mostly because of the music and the fact that you don't need a ridiculous amount of HMs to traverse it.